RSPCA ACT would like to thank all 12,000 people and 4,000 dogs who attended the Million Paws Walk in Canberra. 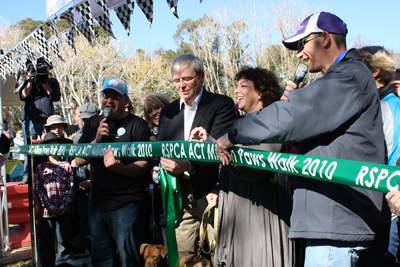 Supporters of RSPCA ACT have put in a massive effort and more than $150,000 was raised yesterday. All funds raised will help save more animals and provide necessary care for animals at our shelter in Weston during the cold winter months. Win a Million Paws Walk crew pack!